A New Zealand woman who lived in London has been killed in an avalanche in the Italian Alps, along with three other skiers. A British skier, 43, reported to be of Swiss origin, and a 36-year-old French skier were also killed and a fourth person is missing – described as a 38-year-old Pole who lives in Chamonix. The names of the other victims, including the Kiwi, have yet to be released. “After days of snow fall this was a big avalanche and it caught all four of them in a narrow channel where they were skiing, so they stood no chance,” said the head of the local apline rescue team, Paolo Comune. The skiers are thought to have been skiing off-piste when they were hit by an avalanche in a valley near the resort of Courmayeur. The alarm was raised when they failed to return to their hotels on Sunday evening. 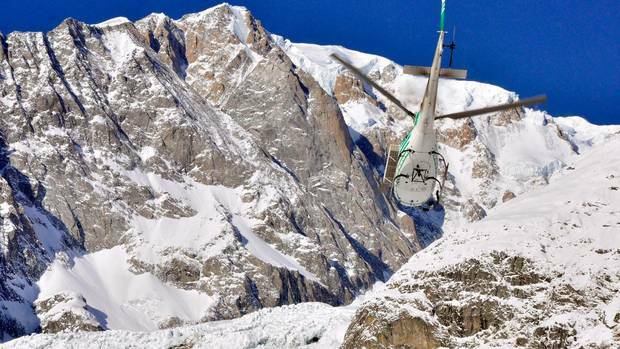 Italian alpine rescue workers found the bodies of the three skiers on Monday. It was a bad weekend for fatalities in the Alps, with at least eight people losing their lives, including the three struck by the avalanche near Courmayeur. Previous articleWhat does this Lunar New Year have in store for you?